What a fascinating meteorite! NWA 11220, just like the previously posted NWA 8171, is a Martian Basaltic Breccia. It shares many of the same characteristics and the clasts have similar appearances. In the thin section posted here, readers can explore some eerily “alien” features which seem unique to this particular class of Martian meteorites. 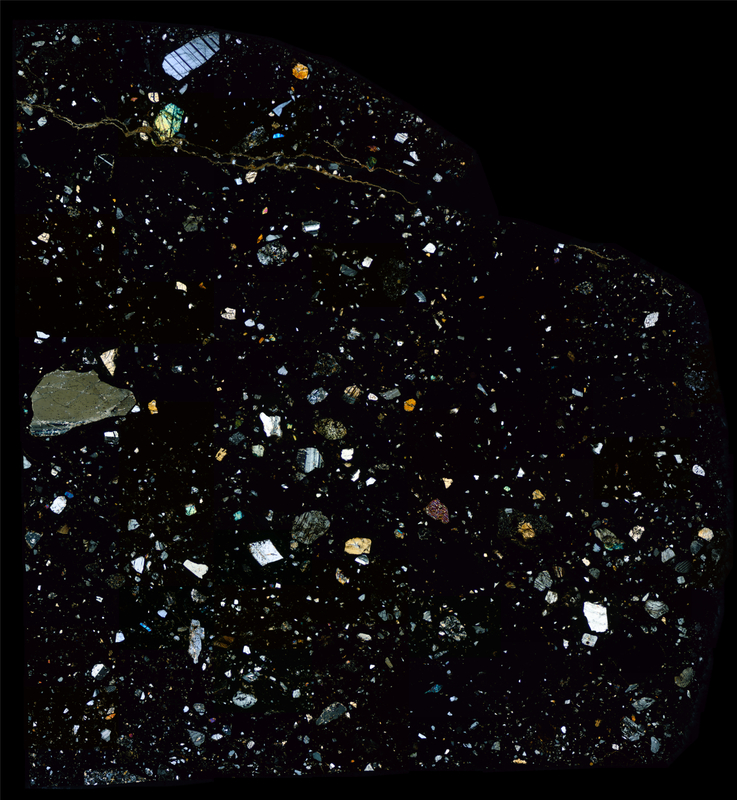 The large inclusion on the left side of the thin section contains fascinating little globular specks. Additional clasts contain shapes and features which pose numerous questions, such as what kind of “natural” processes could have formed them? Enjoy! Information on Martian Basaltic Breccias at Meteorite Studies. Information on NWA 11220 and YouTube videos of a CT Scan of the meteorite.